Making a canoe requires many clamps. 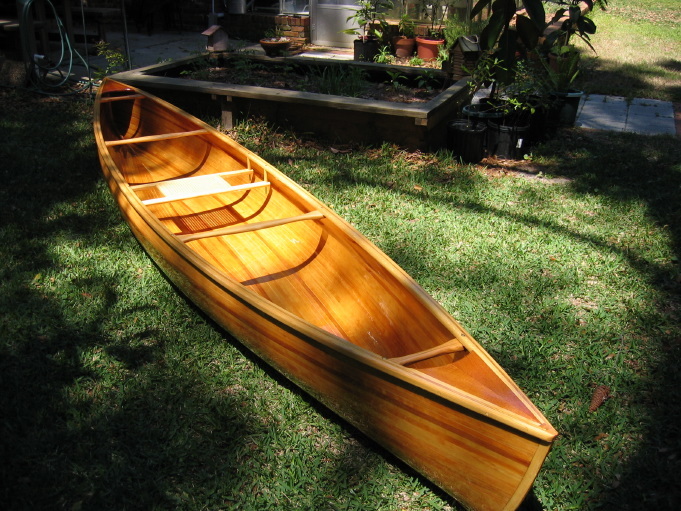 The canoe is finished! 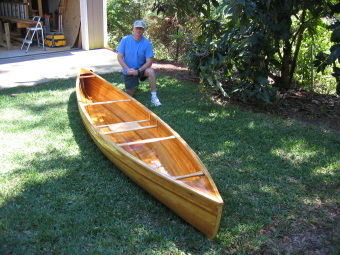 The labor of love of many months. Gary next to the product of his many hours. 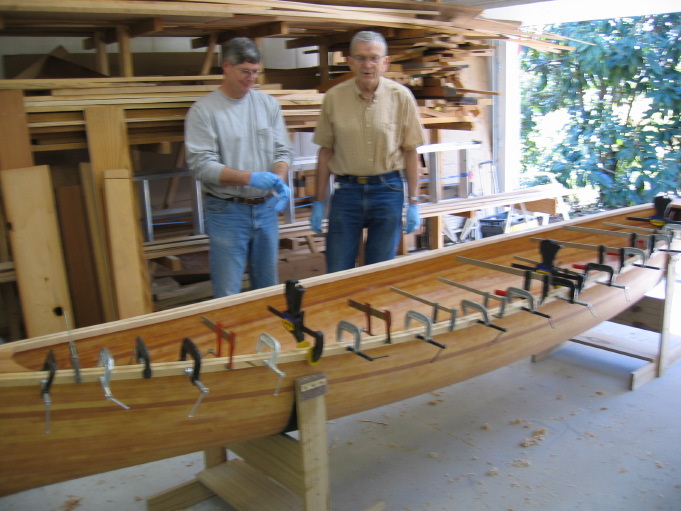 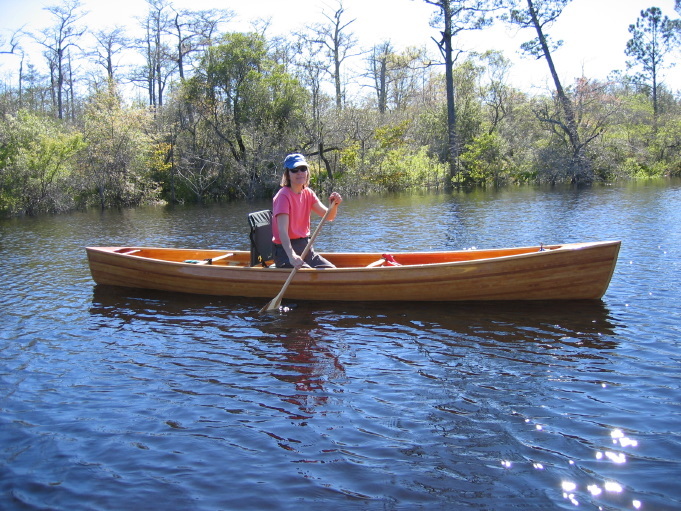 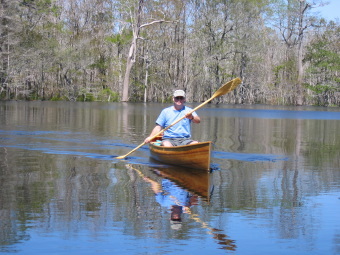 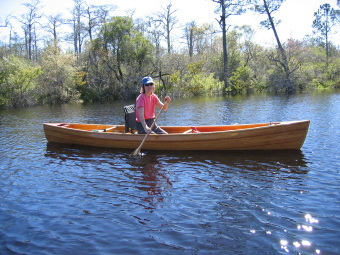 The test of the canoe is in the water - and this one is a fine canoe indeed.